Well, if the cold has anything to do with Christmas, we are getting really close! 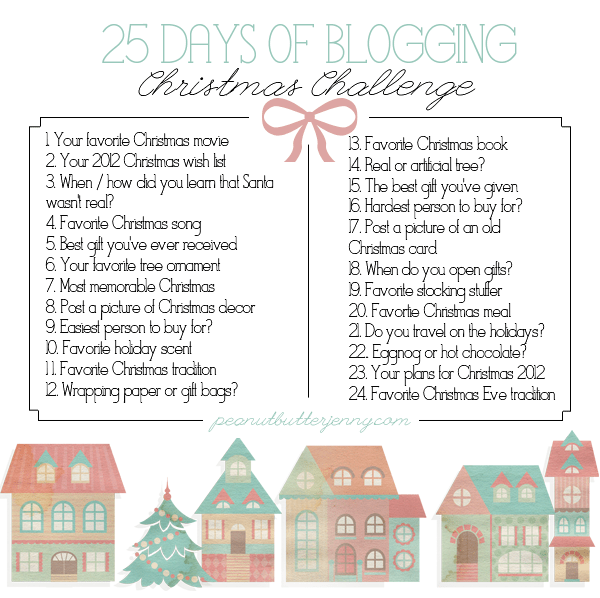 I am stealing this idea from Amanda and go through my own Christmas Challenge! Happy Christmas Eve everyone! Your favorite Christmas movie. Home Alone – I still have to turn away when the burglars get hurt! When/how did you learn that Santa wasn’t real? I am not sure how old I was…but I found gifts in my parents closet – the same gifts that I received Christmas morning – spoiler!! Best gift you’ve ever received. I really loved the in-line skates I received when I was a kid!! Your favorite tree ornament. Currently, it is the orniment that little man made for us last year at daycare 🙂 It is his hand or foot…3 snow-people – love it!! Most memorable Christmas. I believe the 2 Christmas’ that we have had little man around have been the most memorable! Last year, he was SO STOAKED to get a “motorcycle” (a tricycle)!! He went nuts and even though he couldn’t use it all that well, he is a pro at it today!! Favorite Christmas tradition. Going home to spend time with family. Wrapping paper or gift bags? Gift bags are soooooo easy!! When to you open gifts? My parents and family get together on Christmas Eve for gifts…and my in-laws get together on Christmas Morning 🙂 We’ll see what happens this year! Do you travel for the holidays? Most years, yes – we travel 100 miles to stay and visit with family in the KC area. Your plans for Christmas 2012 2016. Honestly, we have not talked about it much. 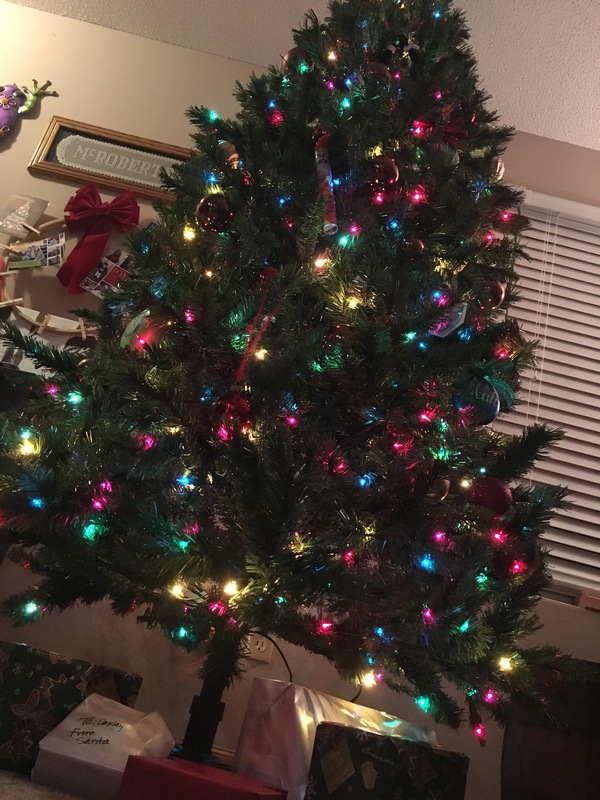 The hubs would like to start our own Christmas traditions at home…but it is so easy to drive home and spend it with family 🙂 Year after year, it is a little harder for me to break away from heading back home – especially now that my family is all over the place and his family is close too. What are some of your holiday traditions? Eggnog or hot chocolate? Favorite Christmas present?